Dr. Amelia Whitelaw was raised on a hobby farm on Vancouver Island with horses, alpacas, chickens, dogs, and cats. From a young age she was a member of her local 4H Horse Club and enjoyed hunter jumping, trail riding and riding in the local drill team. 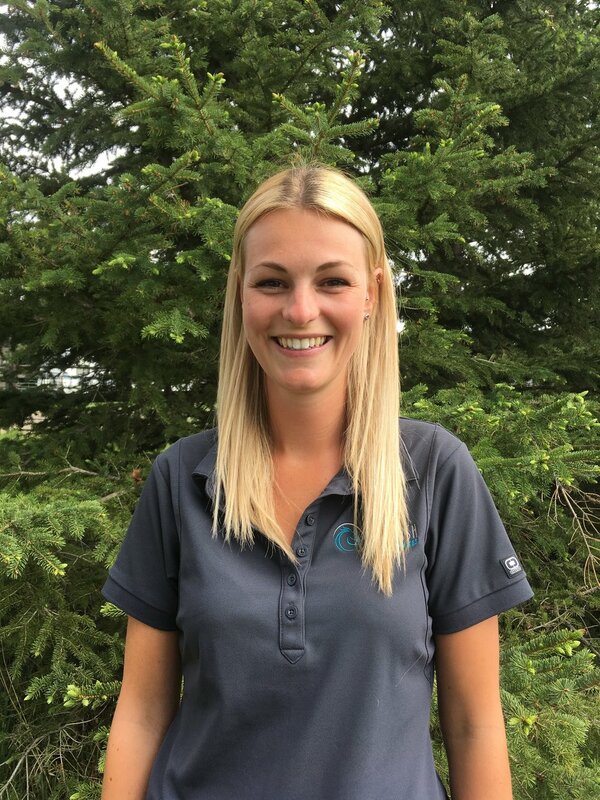 Amelia then moved to Vancouver to complete her Bachelor of Science degree in Animal Biology at UBC before moving to Alberta to study veterinary medicine at the University of Calgary. In her spare time she enjoys hiking in the Rockies, playing volleyball, travelling, and horse riding. Amelia graduated with distinction from UCVM in June 2018 and is very excited to start her veterinary career as an intern at Burwash. Her special interests include lameness, dentistry, and internal medicine.